Last week we started a new feature called True Tuesday Showcase and y’all seemed to like it, so we’ll continue with that theme. 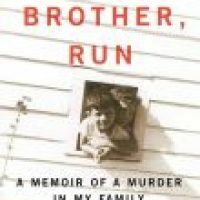 This week, we’re highlighting Run, Brother, Run: A Memoir of Murder in My Family by David Berg. A searing family memoir of a tempestuous Texas boyhood that led to the vicious murder of the author’s brother. As William Faulkner said, “The past is not dead, it’s not even past.” This observation seems especially true in matters of family, when the fury between generations is often never resolved and instead secretly carried, a wound that cannot heal.